On a short walk in my neighborhood this morning, I must have passed hundreds of poles: Light poles, utility poles, sign poles. They do their jobs of holding up stuff but I noticed that they can do a lot more. 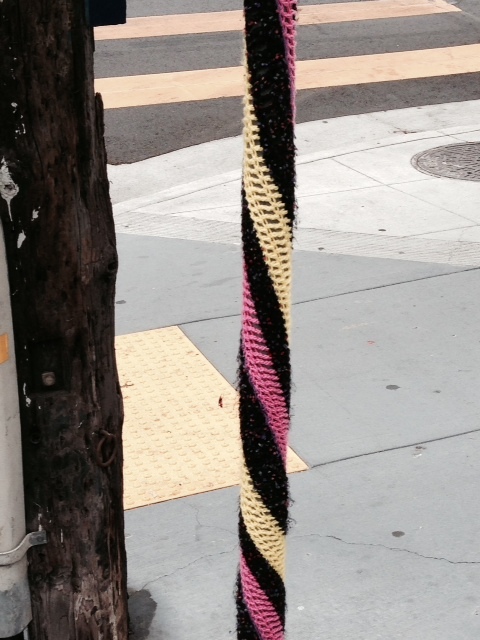 This Stop sign pole is across from a yarn store. Light pole as soap box. This memorial pole shows up on my corner every year around this time. 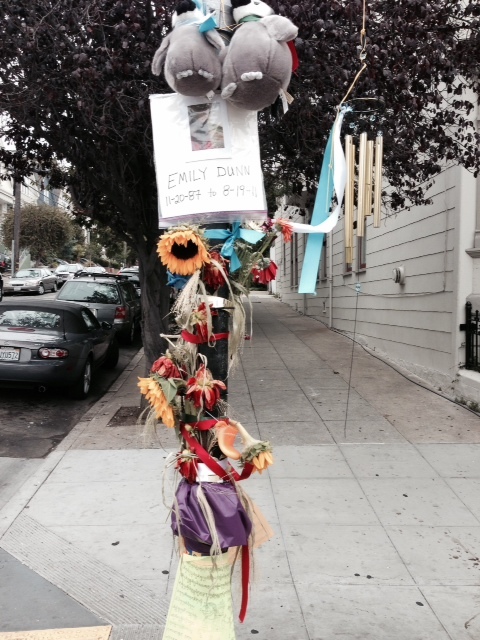 It is for young Emily Dunn, hit by a bus at this intersection. 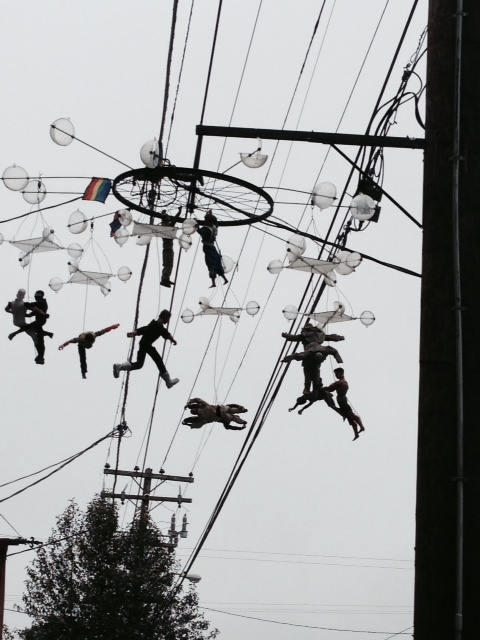 These pole dancers are in a series of guerrilla pieces in the neighborhood. Bravo, somebody! thanks. 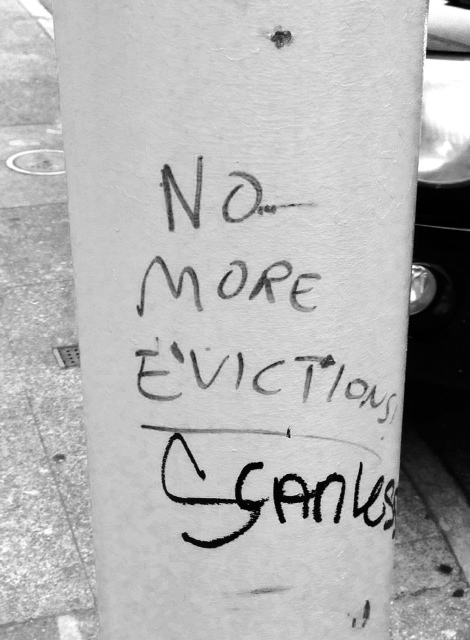 nice work as usual mr. p.
Also, you might note, they can be put to use indoors for more than holding up a building….